Newcastle, who finished safely in mid-table last season, were unlucky to take nothing from the game but showed enough against one of the league's top sides. All three goals came in a frantic opening 20 minutes on Tyneside with Vertonghen and Alli heading goals for the north London team, who finished third last season, either side of Joselu's equaliser. The only surprise was that, after Alli's 18th-minute winner, there was no further score with both goalkeepers, Martin Dubravka and Hugo Lloris, forced to make a string of impressive saves. Newcastle's Venezuelan forward Salomon Rondon nearly enjoyed a dream debut after coming off the substitutes bench but his late effort was deflected on to the crossbar after a desperate block from Vertonghen. "It's a very important (result), everyone knows the first game of a very long season is important," Alli told Sky Sports. "Last season I scored against Newcastle away in the first game too, and now I just want to keep improving. The World Cup was a great experience but it's all about Tottenham and the Premier League now." However, any concerns about a lack of fresh faces were quickly alleviated in an end-to-end opening at a sun-kissed St James' Park. With the game eight minutes old, Vertonghen, fresh from Belgium's third-placed World Cup finish, gave the visitors the lead when his header against the underside of the crossbar was adjudged to have crossed the line by goalline technology. Their glee didn't last long, however, with Alli arriving at the back post to head in Serge Aurier's deep cross for what proved to be the winner. Spurs, whose starting 11 contained many players who were involved in the latter stages of the World Cup, faded and were relieved to hold on for victory following Vertonghen's crucial 85th-minute block to deny Rondon. 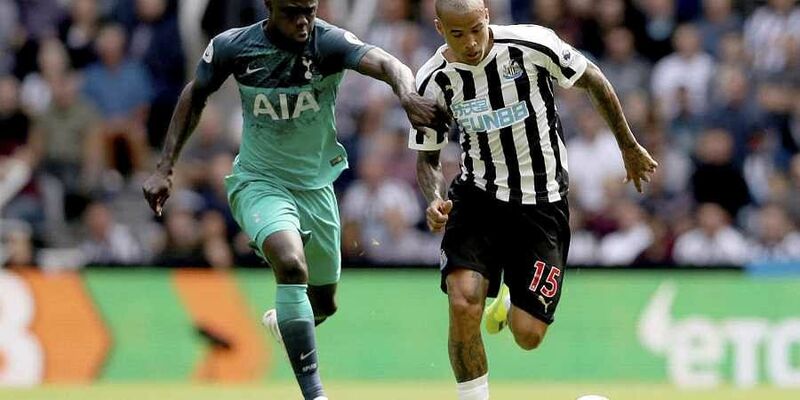 Newcastle, who finished safely in mid-table last season, were unlucky to take nothing from the game but showed enough against one of the league's top sides to suggest they should be competitive again this season.